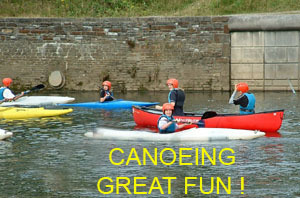 RIVER TAWE CANOEING AVAILABLE FOR ALL CADETS FROM 215 ! What a facility ~ What an opportunity ~ What a challenge ~ AND AT A REASONABLE PRICE !!!!!!! 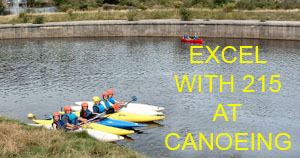 215 Squadron is positioned alongside the River Tawe, which affords a superb canoeing facility for the Cadets. The river is ideal for beginners as it flows very slowly from the Pontardawe Valley towards the barrage located in the Swansea City Centre and the Squadron has full use of the river over a distance of approximately five miles. 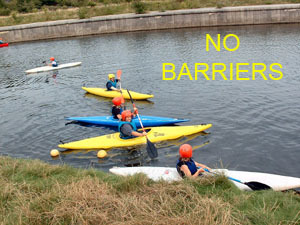 The Cadets have achieved over 60 Canoeing Qualifications throughout the past 6 years and 30 of these awards were achieved in the year 2004/2005. If you want to Canoe ~ 215 can attract the quality coaches to provide you with the training ! These pictures were taken for and on behalf of the Cadets of 215 Squadron !